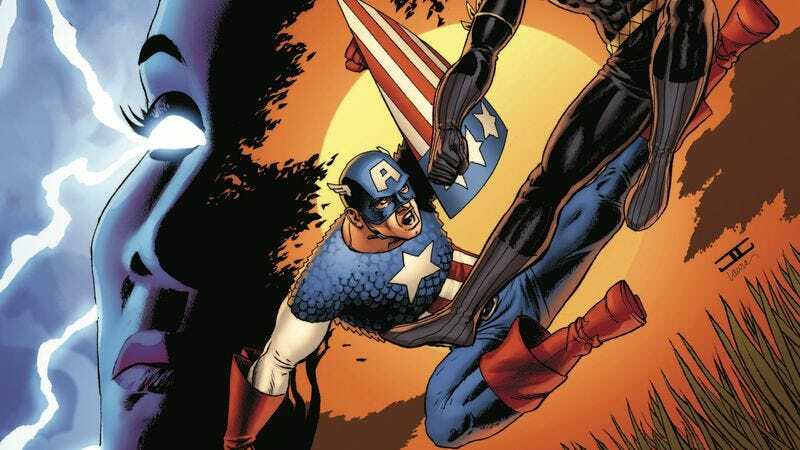 Marvel has had a lot of success with its spin-offs of Ta-Nehisi Coates’ Black Panther. World Of Wakanda was a compelling, albeit short-lived, exploration of Black Panther’s queer supporting characters Ayo and Aneka (with the final issue checking in on a character from Christopher Priest’s run over a decade ago), and Black Panther & The Crew had a strong start last month as Misty Knight and Storm found themselves on opposing sides of a protest in Harlem. That first issue also introduced the mysterious Ezra Keith, leader of a group of 1950s superheroes that fought to protect their neighborhoods from drug-dealing gangsters and other threats. They were the first Crew, and in the wake of Keith’s present-day death in police custody, a new Crew emerges. This exclusive preview of next week’s Black Panther & The Crew #2 delves deeper into Keith’s story and what inspired him to start a superhero team, taking readers to the 1955 Asian-African Conference in Bandung, Indonesia. The issue also features two new additions to the creative team: Yona Harvey, who wrote the Zenzi back-up story in World Of Wakanda #1, joins Ta-Nehisi Coates as co-writer, and artist Mack Chater illustrates the opening flashback showing Keith learning about the rise of superpowered soldiers. There’s an impressive amount of detail in these preview pages, giving readers a strong impression of the setting. The scene is driven by dialogue, and the clear expressions in Chater’s artwork enrich the conversation and make these men come to life. Dan Brown’s sepia-toned coloring brings a weathered quality to the artwork, and he matches the linework’s detail in his rendering to add extra dimension to the figures and their surroundings. Butch Guice and Scott Hanna take over art duties from there, and Chater’s style is close enough to Guice’s to ensure a smooth transition between artists.